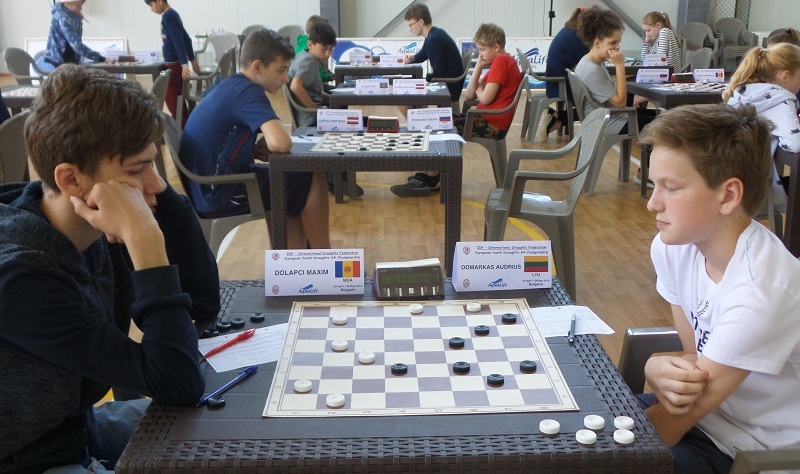 International Draughts Federation (IDF) in accordance with the Calendar of the competitions in 2018 from April 29 (arrival day) to May 08, 2018 (departure day) at the Sports Complex “Aqua Life”, Kranevo (Bulgaria) conducted personal-team European Youth Draughts-64 Championship 2018. 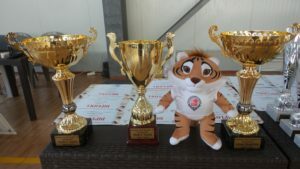 Competitions were held with the support of the Foundation for Promotion of Draughts Sports “Russian Draughts”. See results in the individual and team classification, games of participants and video from closing ceremony. Championship will be held at the Sports Complex “Aqua Life”, Kranevo (Bulgaria) from April 29 (arrival day) to May 08, 2018 (departure day). Credentials Committee will work April 29 from 16.00 to 22.00. Participants who did not pass the Credentials Committee to 22.00 will not be admitted to the competitions. Junior hopes 8 years and younger (2010 and younger). Boys and girls of younger ages may participate in age groups 1992-1998; 1999-2001; 2002-2004; 2005-2007, 2008-2009. Blitz game – with time control 03 minutes till the end of the game + 02 seconds per move. 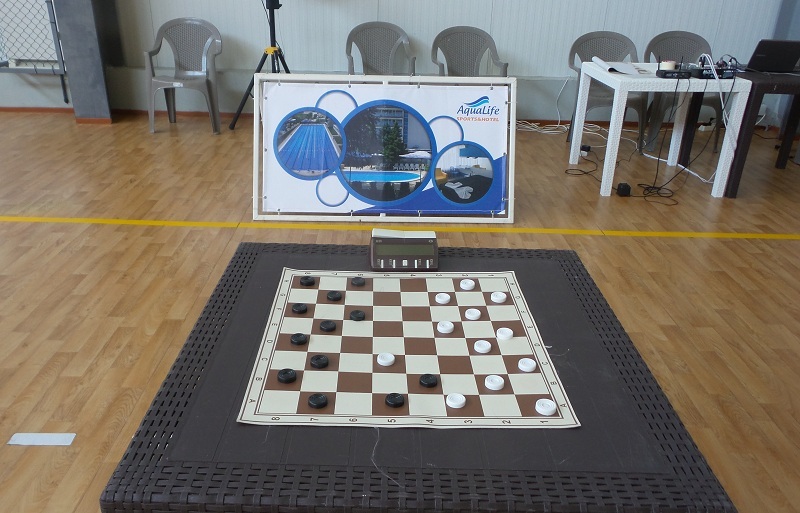 All programs are held in international (Russian) version of draughts-64 by the system of micro-matches consist of two games. System of competition (Swiss or round robin) and number of rounds are established by the panel of arbiters depending on the number of participants. In age groups juniors born 1992-1998 and juniors born 1999-2001 draw of the moves according to the official table (745 positions) is held for boys and draw of the positions according to the official table (150 positions) is held for girls. In age groups cadets born in 2002-2004 draw of the first move of the white is held for boys and girls. Draw is binding on both games of the micro-match. In other age groups draw of the moves is not held. Team’s classification is determined in classic program of Championship. Team places are defined by the maximum amount of points scored 12 best players (one from age group 1992-1998, 1999-2001; 2002-2004; 2005-2007, 2008-2009, 2010 and younger for boys and girls). Team’s classifications are determined also separately for boys and girls teams by the maximum amounts of points scored 6 best players (by one from age group 1992-1998, 1999-2001; 2002-2004; 2005-2007, 2008-2009, 2010 and younger for boys or for girls). 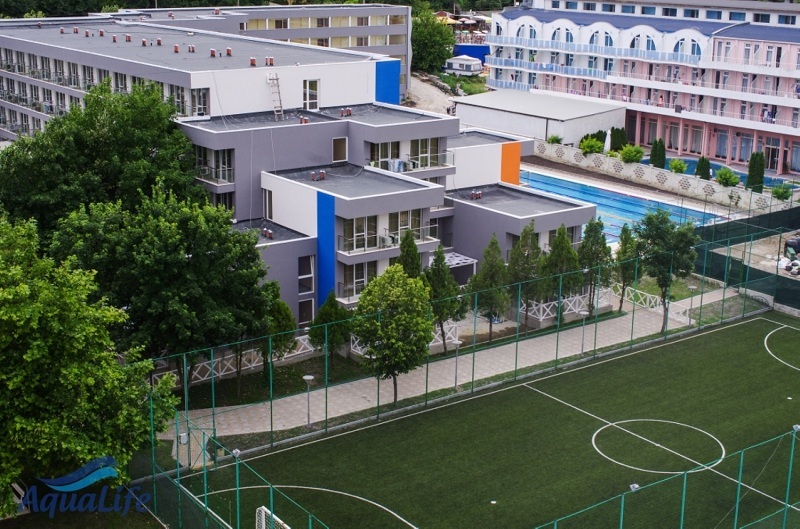 Sports Complex “Aqua Life” is official place for accommodation of participants, coaches and accompanying. Hotel accommodation will be in the building “Aqua Life Sport”, in which the competitions will be held. The organizers provide accommodation and meals (three-time buffet) from April 29 (starting with lunch) to May 08 (ending with breakfast) one player (boy or girl) from each country – member of the International Draughts Federation (IDF) in age groups 1992-1998, 1999-2001; 2002-2004; 2005-2007, 2008-2009, 2010 and younger (6 participants total). Their travel costs, as well as costs of accommodation, meals and travel of other participants and coaches pays by their sending organizations. Participants who provide accommodation and meals by organizers are required to participate in all three programs: classic, rapid and blitz. Additional services: Sports Complex “Aqua Life” will provide participants with free paths in the professional heated sports pool and fitness room. 13-05-2018 Video from closing ceremony added. 11-05-2018 Games of participants in age groups Juniors-boys B27-B20 and Juniors-girls G27-G20 published. 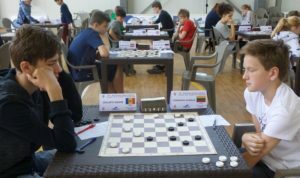 07-05-2018 Personal-team European Youth Draughts-64 Championship 2018 completed. Players from 10 European countries took part in the competition. Representatives of 8 countries won medals in various categories and age groups. According to the results of the classic program, team and individual results were summed up. 02-05-2018 Classic program started today. One round in all age groups is held today. See current results. 01-04-2018 Rapid program was held today. See results. 30-04-2018 Personal-team European Youth Draughts-64 Championship started today in Sports Complex Aqua Life in Kranevo (Bulgaria). Competitions are held with the support of the Foundation for Promotion of Draughts Sports “Russian Draughts”. Opening of the competition took place at 12.00. Participants of the competition were greeted by the president of the International Draughts Federation (IDF) Vladimir Langin, the sports director of the Sports Complex Aqua Life Igor Korotkov, the president of the Bulgarian Draughts Federation Bogdan Yanev and the children’s dance team of the city of Dobrich. Mayor of Kranevo Rumen Nikolov sent congratulation to the participants of the competitions. Players from 10 European countries take part in the competition: Azerbaijan, Belarus, Bulgaria, Latvia, Lithuania, Moldova, Russia, Romania, Ukraine and Estonia. Blitz program started at 15.00. See results. 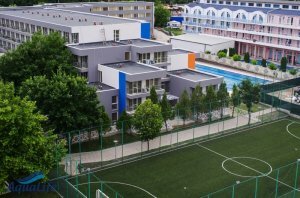 04-02-2018 Personal-team European Youth Draughts-64 Championship will be held at the Sports Complex “Aqua Life”, Kranevo (Bulgaria) from April 29 (arrival day) to May 08, 2018 (departure day). Team’s classification will be determined in classic program of Championship. Team’s classifications are determined also separately for boys and girls teams.